Our team has the experience to deliver up to your expectations. We've worked with several high-end corporate entities. Character design & Animation development is what we are the expert of. Our think-tank will develop an amazing and attractive visual strategy for your project. In today's "Youtube Age" having a high-quality video to explain your product or service is an essential part of your business marketing. We can provide a fully licensed high quality animated explainer video for a fraction of the cost you would pay a traditional video studio to help get YOUR business noticed! Perfect for your website, E-learning, Youtube, social media, email marketing, etc. We have been explaining businesses, brands, products and ideas for more than 20 years, Working 24/7 and ready to start the project right away. Working for individuals mostly based on USA, Canada, UK, Australia, and the Middle East. e) Voiceover available in any accents you prefer. PLEASE NOTE: If you require custom/specific images, scriptwriting, longer videos, different video style, etc, ask me for a quote BEFORE placing any order. Extremely happy with the communication and rapid responses. Work carried out exactly as requested. 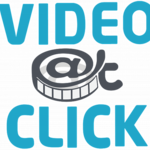 Video@click is a dynamic organization that deliver finest animation services. Our offer "E.E.E - Elegance, Excellence & Economy!". We are one of the leading companies...Read moreVideo@click is a dynamic organization that deliver finest animation services. Our offer "E.E.E - Elegance, Excellence & Economy!". We are one of the leading companies in the animation and video industry.Our development offering streamlines the strategy, design & implementation of your development related needs with our efforts to minimize cost and deliverable turn-around without compromising quality.We have highly skilled and enthusiastic team delivering services of animations, 2D videos, 3D videos, cartoon series & promotional videos.We also provide native voice-over is all languages. We have finest artists in our Pool and can meet deadlines and deliver excellent animation services.